Smoky-peat syrup, very juicy, oily, not particularly refined, but very soulful. Open, wet, light peat, ash, salt and sea notes, a little rubber - gernite cord, conveyor belt; Smoked meat, dried apricots, daikon. 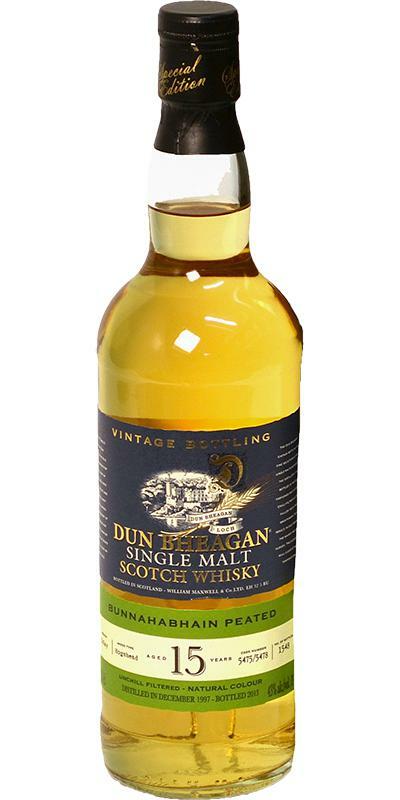 Powerful, saturated, smoky-peat, resin, coal, sweet syrup notes, peppery wave, dried fruits. Sweet-smoky, warming, lemon peel, peat, light metal sour, oily, ginger candied fruits, ashes. 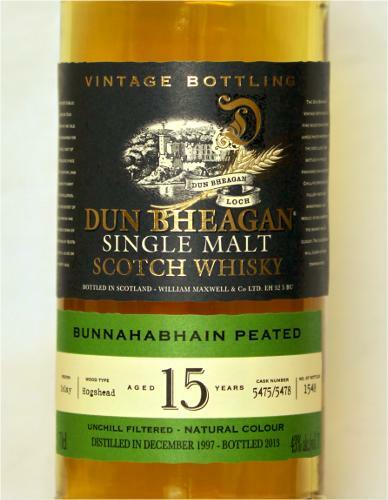 Very strange bunnahabhain that I do not like. Medium peated with a not to heavy nose. Grassy taste with medium peat and e menthol kinda finish.